One HUGE reason I wanted to try a straw bale garden was to keep garden maintenance to an absolute minimum. My straw bale garden sits next to my lawn and a large perennial garden (which is already awesome). 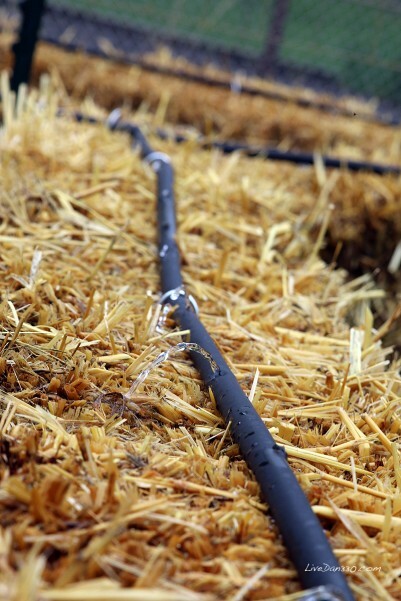 Even with an automatic sprinkler system, I still wanted to set up a specific drip line for the straw bale garden. Make sure to watch our video below!!! This series is documenting my straw bale gardening journey. I will be following Joel Karsten’s book: Straw Bale Gardening. 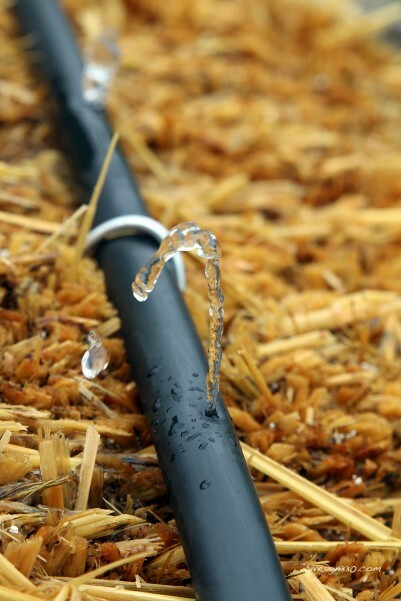 There are two reasons for a a new drip system. 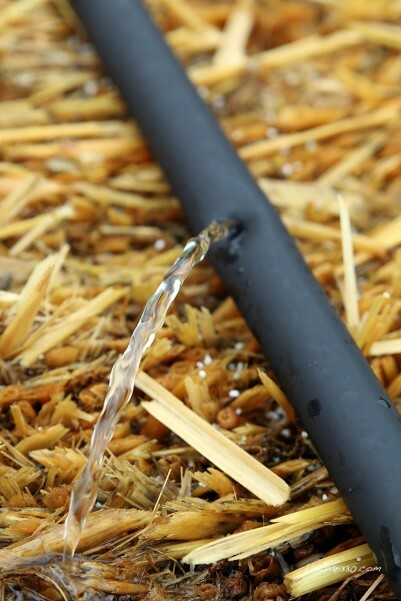 First, a drip line gets water right to the roots. 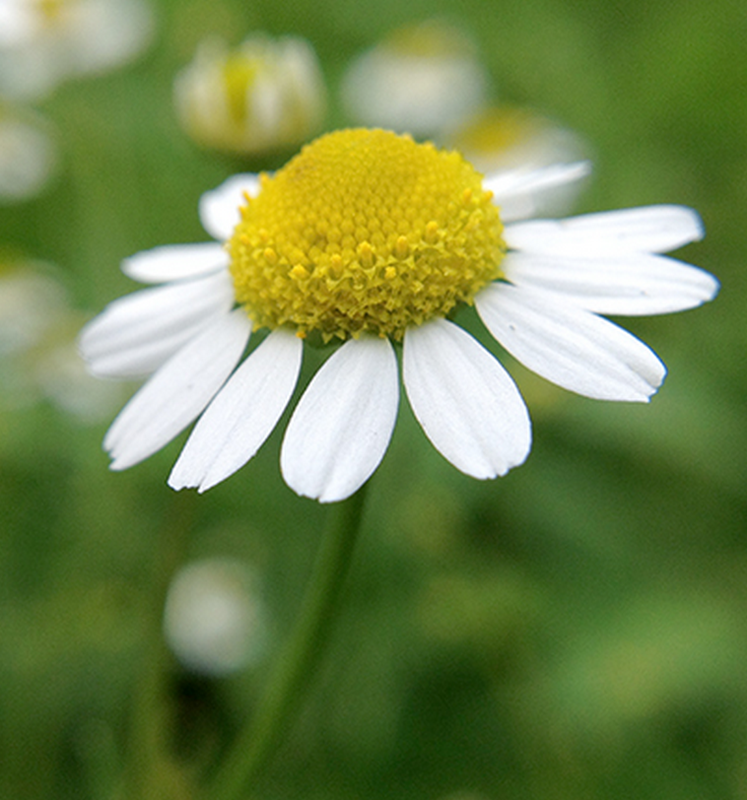 Some disease, mold, and other problems can be avoided by keeping plant’s leaf’s dry. Plus, a sprinkler system sprays hard and I don’t want it to blow disease 40 feet across my yard. Second, I can water the straw bales as needed separate from the perennial garden and my lawn so each garden can get exactly what it needs. If you are following the series, I did go back and purchase my T-posts for the trellis system. I will share those with you soon. With everything in hand, let’s start at the faucet. My faucet is already heavily used, but unlike electrical plugs, I don’t know of any reason not to make a big hose octopus. Last year, we made the kid mister. It was a shower pipe with a misting nozzle that is regulated by a urinal flusher. So when the kids hit it, they get misted for about 6 seconds and it automatically shots off. The top blue hose is my garden hose. The black hose on the left is going to the kid mister, and the box on the bottom in my water meter for the straw bale garden. You can purchase this water timer for about $24.95 at Home Depot. It took 2 AAA batteries and about 30 seconds to set up. I will be watering at 5AM for about 15 minutes to start. We will see how that works and adjust as necessary. 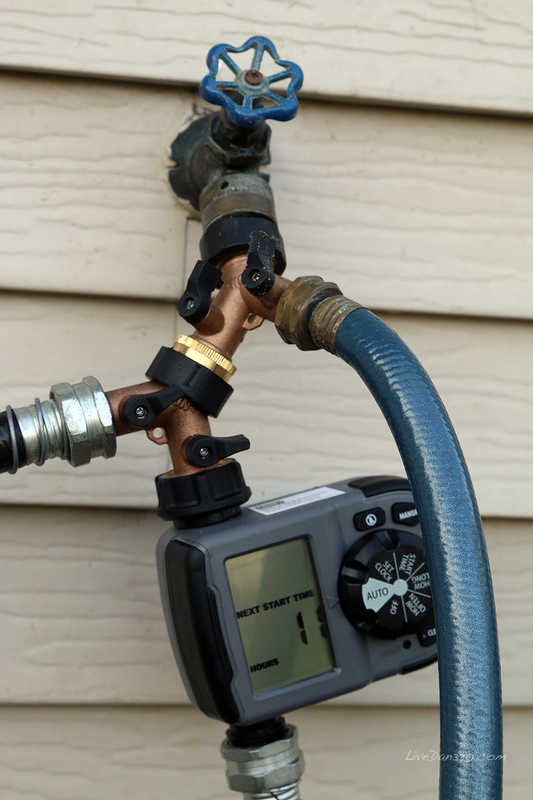 You should make sure to test your system because the size, water pressure, and design of each will be slightly different. The bottom of the water timer has a connection for a garden hose. 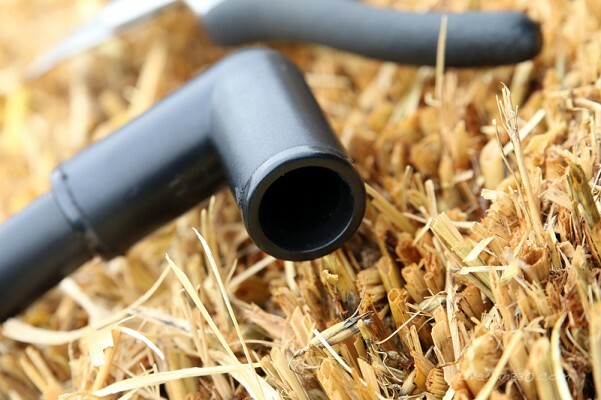 I took my garden hose for the straw bale garden and ran it through my perennial garden to the straw bale garden, burying the hose in wood chips to keep it out of sight. Setting up the irrigation line on the straw bales was fairly straight forward. I had already laid out the bales and only had to run the line on top of them. To do this, I needed a few irrigation parts including some T’s, angles, end caps and a hose adapter. They are very straight forward to use, just shove a cut end of the irrigation pipe into whatever part you need. Below is a 90 degree angle. You can see the pipe shoved in on the left side and the open end facing the camera. 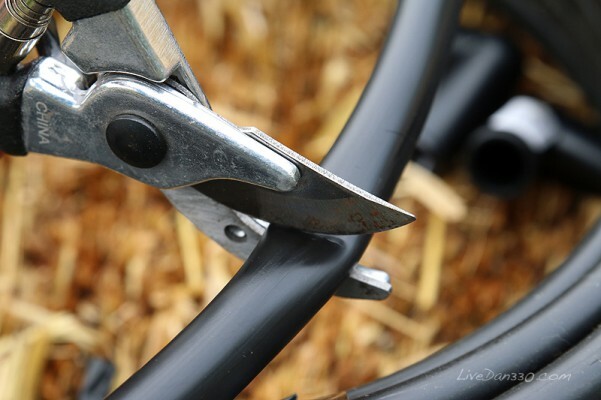 The hose is easily cut with a standard garden snips. To keep the hose in place, you can buy big staples from the store … or, you can be smart and just cut some of of you bailing wire and bend them into a “U.” I took about 12-16 inches of wire for each staple. 100 feet of wire was only about $11 so this is a very cheap solution that works just as well as any staple. 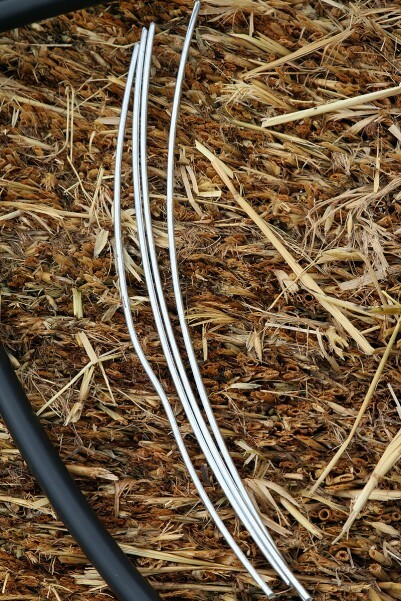 Start by cutting your lengths of wire and bending them. Then use them to hold down the hose where needed. I splurged and purchased a $2.00 tool to poke holes in the tubes. I was able to put holes exactly where I wanted them and avoid holes in a short section where I didn’t want any. Here’s what the garden looks like at the end of the irrigation set up. 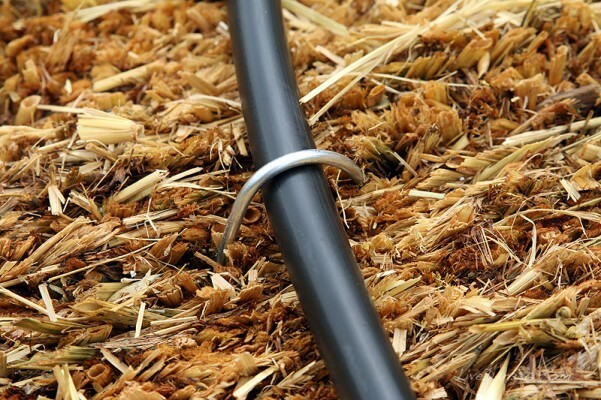 The conditioning period of the hay bales is a perfect time to set up the irrigation system. 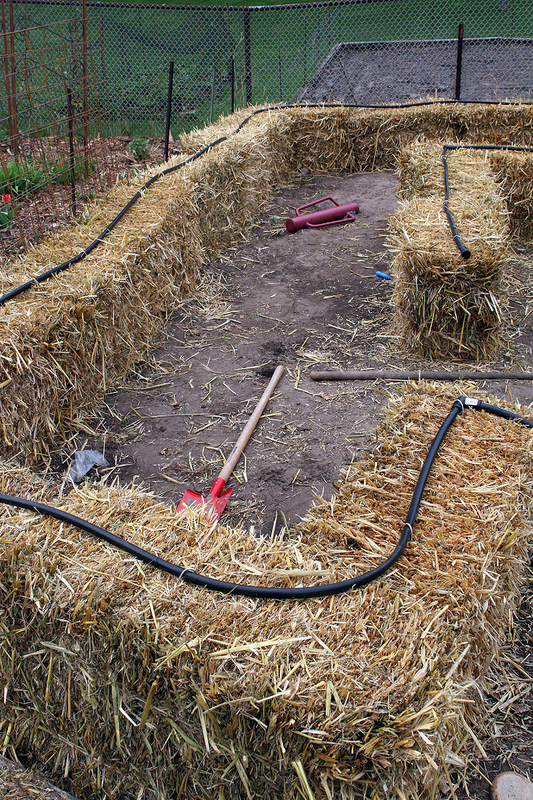 During that time, if you need to soak the bales, you don’t have to stand with a hose and do it manually. Now, you can just let the system run. The water meter I purchased also has a manual option. With a push of a button, you can choose how much time for the meter to run manually to soak the bales and walk away. I had one problem when I turned my system on. The water sprayed way too hard near the hose and didn’t reach the end of my system. I am not an expert on these drip hoses. 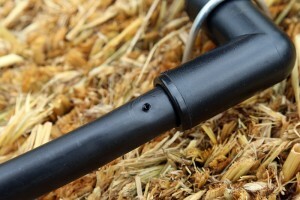 There are some metering drips that plug into the hose’s holes. If you have problems with this, you may want to talk to somebody at the store. I have a very simple solution that fixed my water pressure problem. 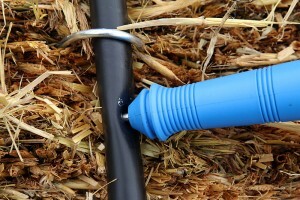 I adding another split in the garden hose just before attaching it to the drip line. 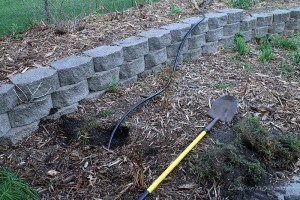 I ran a 2nd hose to the other side of the garden and tapped into the drip line there. Now I have two inflows to the system and that was all I needed to fix the problem. The split in the hose also has a shutoff for each side and with a very small adjustment, I was able to get the correct pressure to both sides balance the water distribution. Now look how it flows out! It’s going to be an easy watering year. Hi this is Chris from Livedan330.com. We are doing a series on straw bale gardening with some videos that go along. 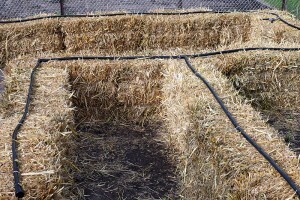 If you would like to read our series, you can simply go to our site dan330.com and search for straw bale gardens. Today we are talking about the irrigation. 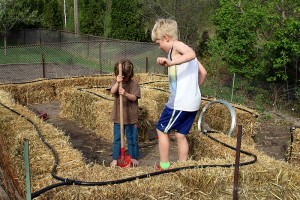 One reason I wanted to do the straw bale garden was to limit the amount of work I have to do. I don’t like weeding and I don’t like watering. That is kind of odd for a gardener, but thats just the way it is. So, what I did for the irrigation is I bought a water timer. It is very simple to set up. It runs for 10 minutes a day. I set the time and the amount it is to run and the time it is supposed to go off. Ah, you can see I have a bit of an octopus here. this is to our kid mister. 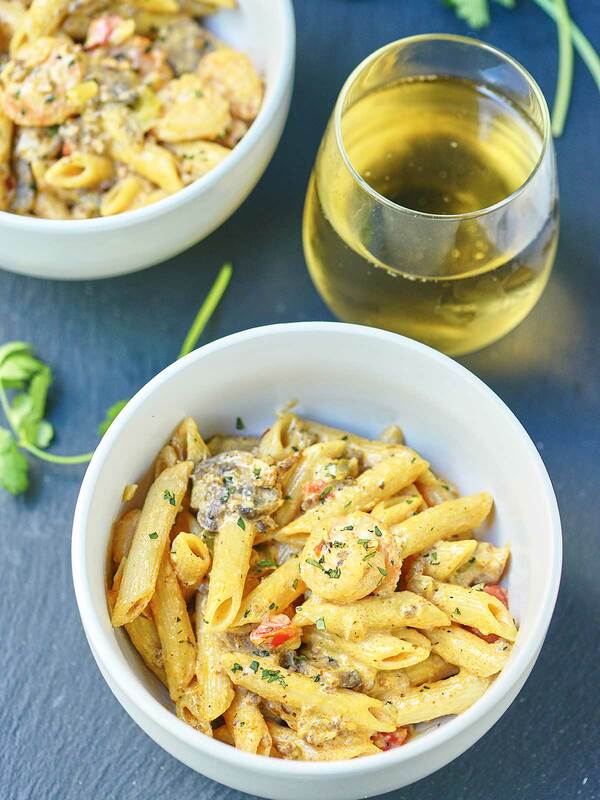 You may have seen that on our blog. It is a really cool thing that the kids push the mister and is sprays them for about 8 seconds. 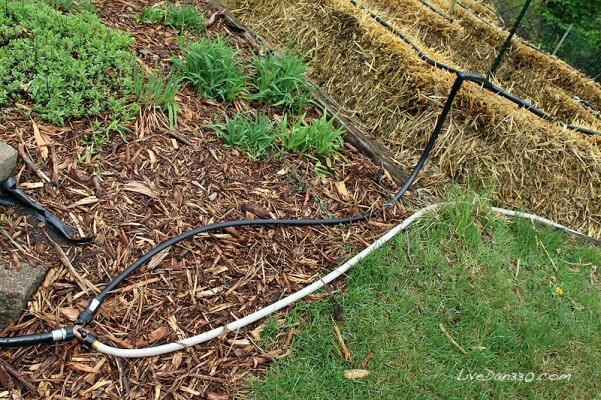 This is a regular garden hose and this is my irrigation for the straw bale garden. Now I will show you the rest of the garden. So we are here with the irrigation. You saw how the hose comes out of our faucet over there with a timer. So, every … ah … once a day, the water comes up here. 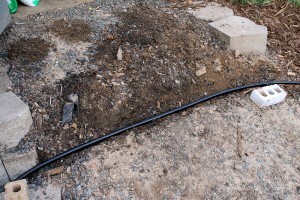 This is just the irrigation pipe I got at Home Depot it was $11 for 110 square feet er 110 linnear feet. It is very simple, we just lay it down. There is a tool you can use to poke holes in it. It is very very easy. Ah, this is just #9 wire. 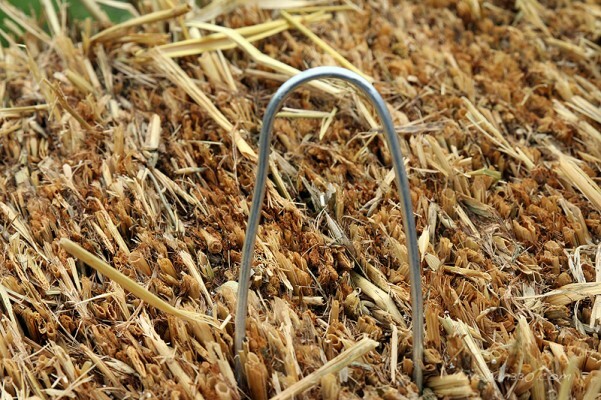 Ah, we use it as a staple to stick into the bales. It holds it in place. That’s a good tip for you. There is just a couple inexpensive parts like this ‘T’ that you will have to get. All that happens is you just push them together. It is very simple. 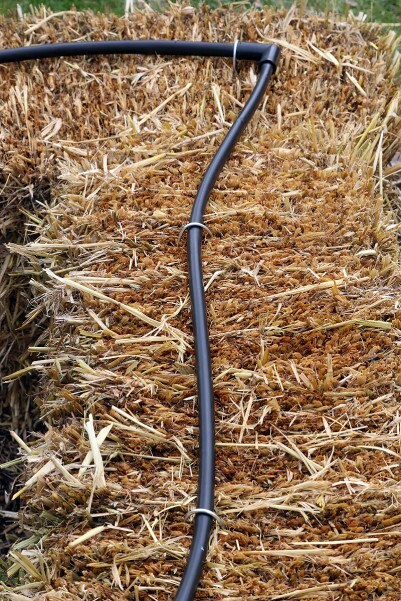 Water just dribbles out of this hose and waters the bales pretty evenly. There is very little I have had to do since then. Unfortunately, we got a little frost and a couple of these look kind of sick here, but we are just getting going. Here’s a really pretty brussels sprout. Here’s what the hole looks like. I am going to turn it on for you in just a sec so you can see what it looks like on. So we turned the irrigation on so you can see what it looks like when it actually runs. Ummm, this is it! Again this is a really inexpensive hose from Home Depot. I’m sure you can get it at just about any garden store. It just trickles out. It is very simple. If you want to get a little more sophisticated, they have got a lot of other parts you can use. I don’t think we need it, so we are just going to let this run like this. Um, it’s about 15 minutes of this and the bales are saturated each day. It’s done. Being able to sprinkle like this keeps the moisture off the leaves. That is going to help prevent disease and mold. Um, and there is one more thing I want to show you in a sec here. So here is the irrigation system running. Again, this is an area that we seeded on. I am going to talk about how to plant and how to seed the bales in a couple videos here. But, you can see we just have this little trickle that comes out of here and this is going to saturate the dirt and get our seeds going. You can actually see some of our seeds just starting to poke up now. This section is actually Swiss Chard. Right below, this is also going to water our plants on the side of the bale. I’ll talk about that when we plant our plants as well.